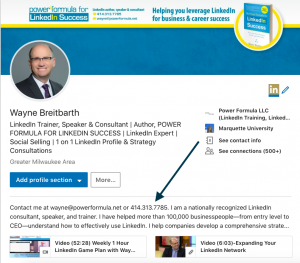 « Will the LinkedIn Magic Happen When You Get To 500+ Connections? A well-executed elevator speech is a powerful business tool. During the time it takes for an average elevator ride, you need to sum up what your company makes or does and get your listener excited about it. 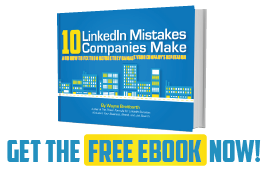 Your LinkedIn Summary section is similar to an elevator speech. Because it typically shows up near the top of your profile, it's one of the first things a person sees when looking at your profile. It has also gained much higher importance since LinkedIn's latest revisions to the app and the desktop version. 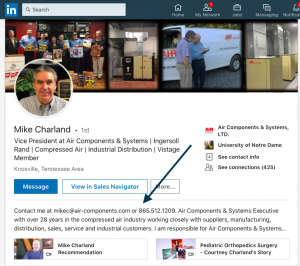 The first 80 to 140 characters (including spaces) of your Summary are now prominently displayed near the top of your profile when it appears on the app and approximately 280 characters (including spaces) when viewed on the desktop. 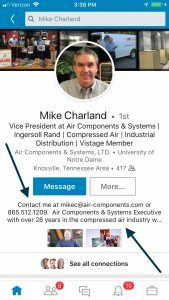 Here is an example of how one of my clients, Mike Charland, has taken advantage of this on his profile. It can include up to 2,000 characters, and I suggest you use every one of them. Use a word processing program, do a spell-check and character count, and then paste it into your profile. Following these suggestions will help you creatively tell your unique business story and improve your chances of being found by the right people. 1. Briefly describe the types of jobs you have had and any major accomplishments. Don't waste this space with all the details. That's what the Experience section is for. But if there's something you want to summarize or highlight, do it here. 2. Describe your perfect customer, vendor relationship, employee, etc. If you're a job seeker, describe your perfect job. 3. Include a direct quote from an impressive customer testimonial or letter of recommendation. If you want to share the entire testimonial or recommendation, include the quote in your Summary and then direct the reader to the complete document in the Add Media section below your Summary. To learn how adding media can pay big dividends, check out my article Here's How to Give Your LinkedIn Profile that WOW Factor. 4. Describe what makes you, your company, and your products unique. 5. Describe how you help people and/or companies accomplish their goals—and if you're a job seeker, explain how your skills, experiences, and proven results can be used to improve a prospective employer's business. This screenshot shows how I use this strategy on my profile. 6. Briefly describe any of your business relationships or experiences that resulted in superior outcomes. 7. Include a specific call to action so the reader knows what to do next. 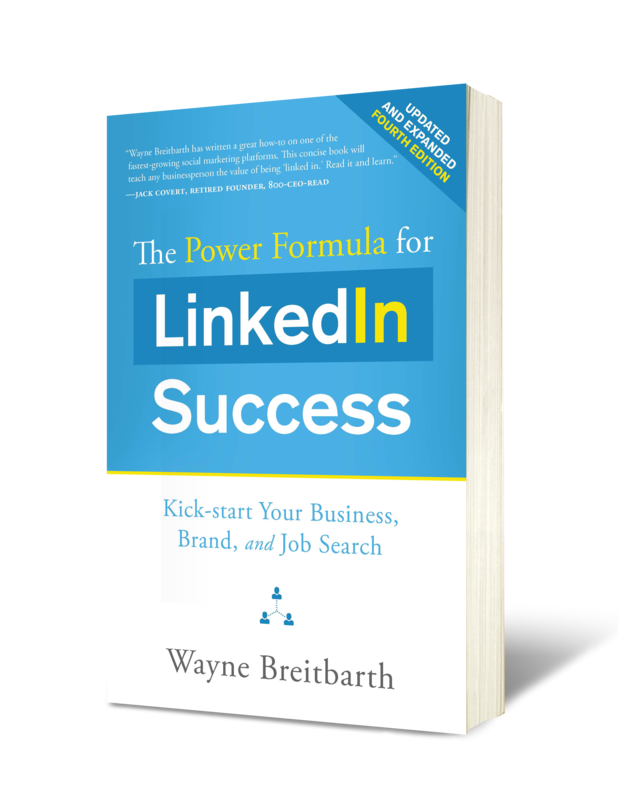 My article So You Viewed My LinkedIn Profile...Now What? will give you loads of details on call-to-action strategies for your profile. 8. It's important to use a significant portion of your Summary section to share forward-thinking ideas and thoughts. Outline new markets or new job opportunities you are considering and the type of relationships that could assist you in that effort. Don't just duplicate the Experience and Education sections that revolve around your history. 9. Consider adding a Specialities subsection at the bottom of your Summary. This is similar to the formal Specialties subsection we had in past versions of LinkedIn. This is a great way to highlight some of your most important keywords and improve your chances of ranking higher based on the LinkedIn search algorithm. 10. If you feel comfortable doing so, include business-related contact information. For more simple ways to create and enhance the Summary section of your profile, check out Chapter 7 in the third edition of my book titled That's My Boy. The LinkedIn Profile: Summary Section.